Bushnell 220630 6x30mm Natureview BInoculars 220630 FREE SHIPPING! Bushnell's 6x 30 mm Natureview® BInoculars (model 220630) received the 2013 Outdoor Life Great Buy award and was featured in the Outside Summer 2013 Buyer's Guide. And for good reason. These are made for long-term, long-distance viewing thanks to a combination of rugged design, superior view technology and creature comforts. The non-slip rubber armor is not only comfortable to hold, it also helps to absorb shock. It also has twist-up eye cups for additional comfort. The case is fog-proof and waterproof, helping to maintain clear, crisp views offered by the BaK-4 porro prisms and multi-coated lenses. The textured center-focus knob makes focusing a breeze. Yet another great pair of binocs ready to hit the trail or help you watch your favorite sporting event from anywhere in the stadium. 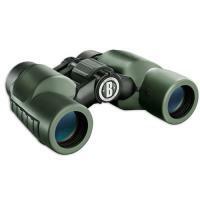 ©2002-2019 CopsPlus.com: Bushnell 220630 6x30mm Natureview BInoculars 220630 FREE SHIPPING!